Hello Familia! Thank you so much for stopping by. 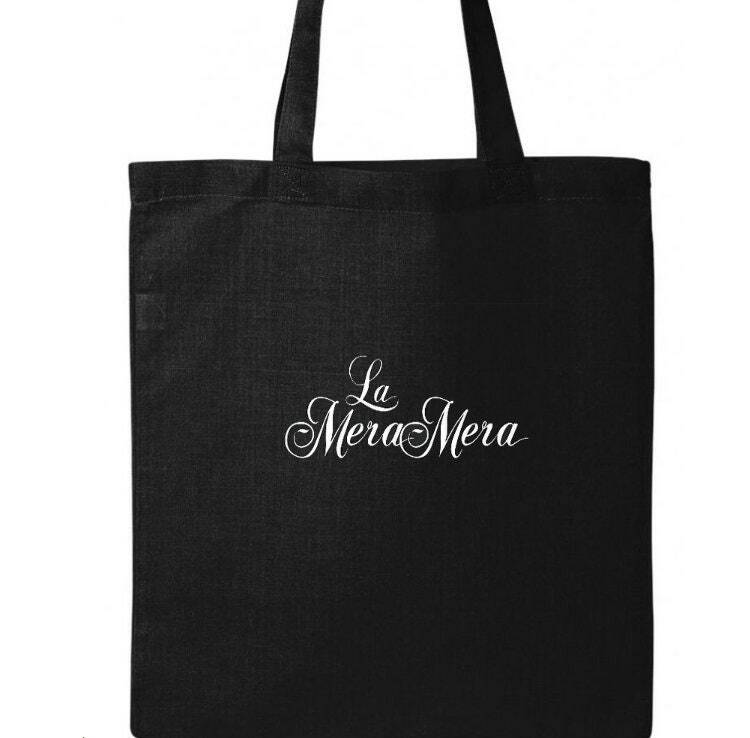 This is a black cotton tote bag that features a white embroidered phrase on the front. 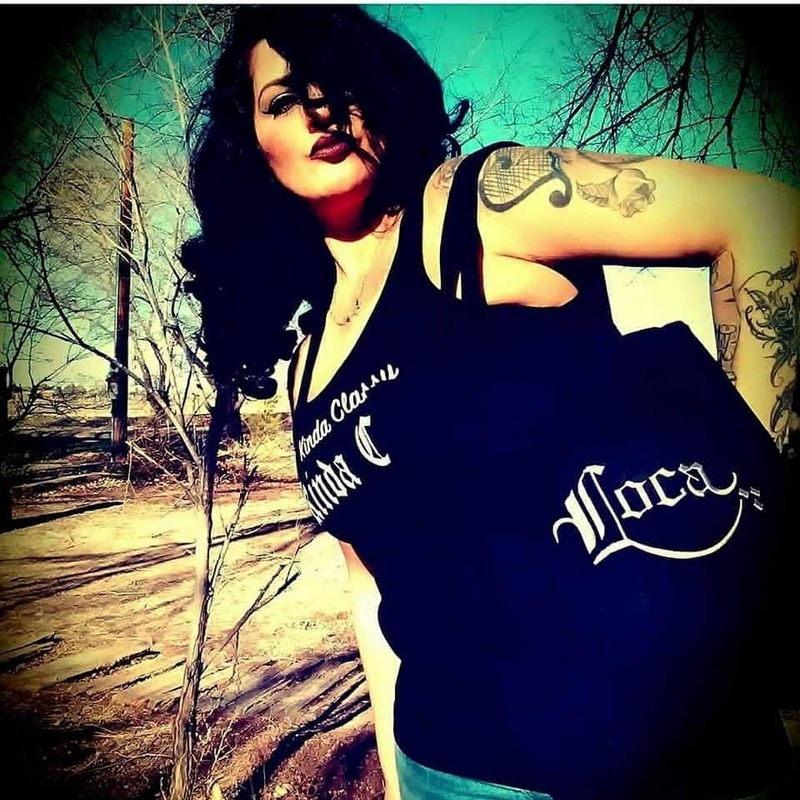 This bag is made in the USA and supports not only your homegirls at Living Firme but our vendors in Los Angeles. 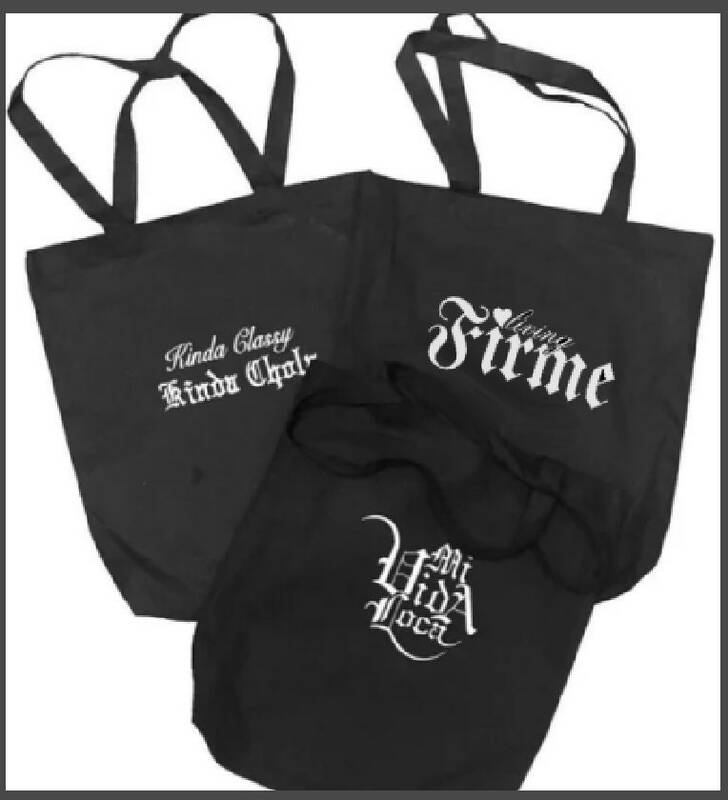 We all appreciate your support and hope you enjoy this really cute tote as much as we do!